With their closing slot on the first night of programming at the fifth annual Manitoba Electronic Music Exhibition (MEME), Sick Bay, a new collaborative project between Longwalkshortdock's Dave King and Phil Western (Download, PlatEAU, Kone) set the tone for the four-day event with a full-throttle exploration of acid-laced techno. 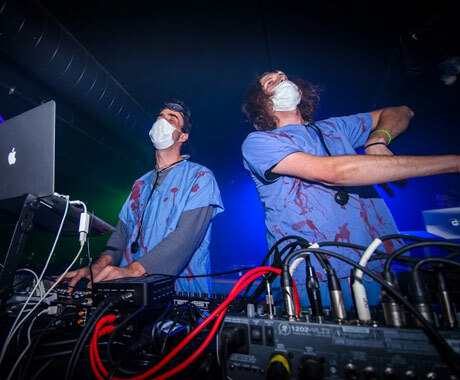 Decked out in blood-stained hospital scrubs and surgical masks, King and Western wasted no time diving into ferocious acid bass lines coaxed out of Roland's new TB-3, while dishing out a torrent of unrelenting percussion from an array of drum machines. Despite it only being the duo's third performance as Sick Bay, there was a sense of cohesion throughout the set as they moved between thundering techno and more melodic moments in the second part of the performance. 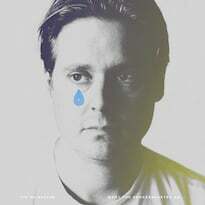 Neither as bombastic as King's solo work or as hypnotic as Western's approach to techno, Sick Bay still gave the crowd enough growling bass lines, forceful 4/4 kicks and agitated synths to keep them on the dance floor right up 'til close.